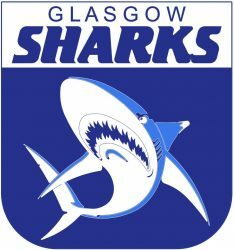 The Sharks third game saw them travel to Kirkcaldy to take on the Kangaroos in an attempt to seal an undefeated start to the season. Having played most of the clubs away games, bar one, for the year the win would set up a finals assault in the knowledge most of the travelling was done. The sun was out and the temperature was high, all in all a very good day for footy. The squad took a slightly different shape to the previous two games with some key personnel picking up some injuries. Some players playing their first game for the Sharks stood up and didn’t skip a beat, showing the clubs depth in its playing list. The first quarter was important for the Sharks. Having started slowly the first two games the coaches were keen to emphasise how fatal giving a tough side like the Kangaroos an early ascendancy was. 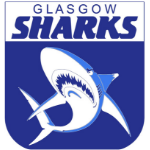 The Sharks took a minute to click but then started firing on all cylinders with the first goal coming from some great ball use out of the back line and to James Hancock who had worked hard to get to the goal square. Jimbob took the mark and slotted to the goal to open his account for the day. The Sharks backline had a new look in this game but didn’t look phased as they limited the Kangaroos scoring but more importantly helped spearhead a damaging counter attack. Bruce McLintock and Robert McKinlay imposing miserly attitude towards their opposition. Beginning the second quarter without missing a step the Sharks continued to press their dominance. Liam Dolling had started to open his own goal scoring account for the day as Daniel Hespe and the midfield were giving great delivery to the young forward. Some of the defenders were getting in on the goal scoring too as Derek Smith collected a ground ball, broke passed a couple of Kangaroos and kicked a great goal. Alexander Clark had been threatening to take some great marks and managed to grab a couple of strong overhead marks in congested space. Going into the second half the Sharks knew they had the chance to put some mileage on the scoreboard. The Kangaroos were tiring and the Sharks were gaining their second wind. 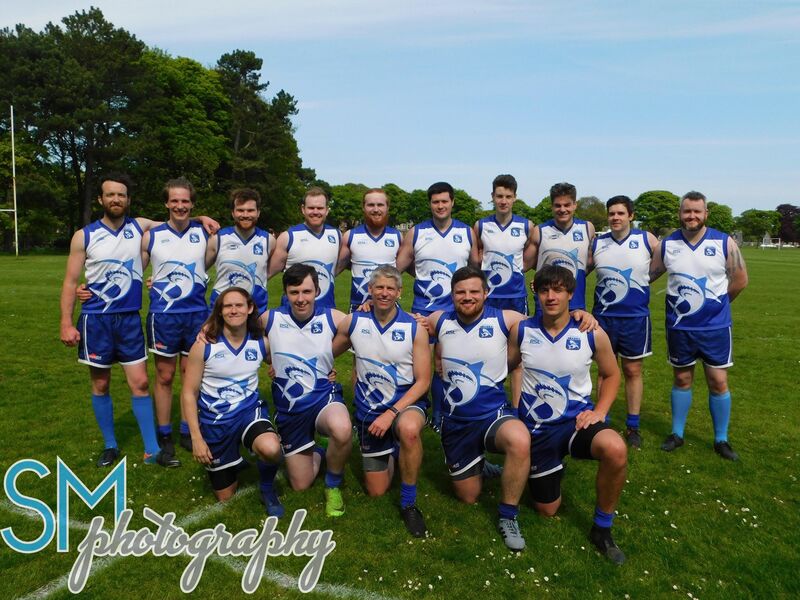 The third quarter showed the midfields dominance grow and having been a commanding presence at the ruck contests John McIntyre was driving that growth. Robert McDowall in his first game for the club had an earlier chance on goal miss the sticks but bounce out for a ball up. He got on the end of a clean ruck tap from this and slotted a goal with a right foot banana. Lewis Collett had been working hard all day in the back line and his confidence has grown in each game played this year. Lewis had the composure to deliver a perfect pass out to the forward line while under immense pressure and had many more instances like this. The last stanza of this match opened like the previous three and the Sharks had put together their first four quarter performance this season. Having taken a while to work himself into the game Danny Neal took his opportunity to pick up his first goal for the club in his first game. Daniel Connor had been putting pressure on in the forward line all game and had been the focus of some attention earlier in the game but he never stood back, his intensity grew throughout the game. Alex Young gave his all at the ruck contests and was negating someone who had previously been a danger for the Kangaroos in that role. In his first game for the club this year Neil Alexander slotted into the back line and at times the midfield. Neil performed well and showed how well he can read the play, especially when coming from the back line. Duncan Bertram competed well as a forward and kept his running intensity up throughout the game finishing well and showed some great leadership at times. The Sharks start the season three convincing wins out of three and look forward to a few home based games in the coming weeks. Best on ground was awarded to John McIntyre for his dominance in the ruck enabling the Sharks midfield to shine on an already sunny day.